With a broad background in law, employment and diversity, Melanie relocated to Pittsburgh from Atlanta in June 2010 to serve as CEO of Vibrant Pittsburgh. 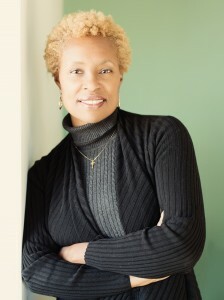 Most recently, she served as the President of the American Institute for Managing Diversity, Inc. (AIMD), a national nonprofit diversity think tank based in Atlanta, Georgia. AIMD conducted research, education and public outreach programs on the issue of diversity. Melanie also served as General Counsel for D.J. Miller & Associates, Inc. (DJMA), a national management consulting firm that specializes in servicing federal, state and local government agencies. Melanie received her J.D. from Emory University School of Law and her B.A. from the University of Pennsylvania. In addition to her role as CEO of Vibrant Pittsburgh, Melanie serves as a member of the Boards of Pittsburgh Downtown Partnership, Awesome Pittsburgh and Sustainable Pittsburgh and member of the Class XXVIII of Leadership Pittsburgh. Melanie has also served as Chair of the Dignity and Respect Campaign of Greater Pittsburgh, Co-Chair of the Power of 32 Community and People Committee.